» Is Toothpaste Good for Cold Sores? 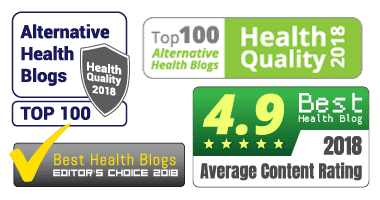 Medically reviewed by Ahmad Alsayes (MD) on August 23, 2017. Written by Linda White (MD). Will Toothpaste Heal a Fever Blister Quickly? Does Putting Toothpaste on a Cold Sore Overnight Work? Cold sores usually last for between 10 and 14 days. Unfortunately, during that lifespan, they are embarrassing and painful. This leaves many people looking for a cold sore treatment that works. Often, these treatments are home remedies, like applying toothpaste for cold sores overnight. One issue with DIY cold sore solutions, however, is their level of effectiveness. Some people may experience success with an at-home solution, while others may not. Toothpaste is something we all have in our homes and use every day. But, can it serve a dual purpose, and help to get rid of fever blisters? Using toothpaste on a cold sore overnight is a popular remedy, but, does it really work? If it does work, what makes it so effective, and how can you make sure you are applying it the right way? We will consider whether toothpaste is good for treating cold sores. Will it ease the symptoms? You’ll also find other home remedies for reducing the discomfort and promoting healing. When brought up as a home remedy, some people suggest that putting toothpaste on a cold sore while sleeping can clear it up in just 24 hours. While these are claims that are unlikely to be true, there is anecdotal evidence that suggests it can help to ease the discomfort. It’s unlikely that a cold sore will disappear in one day. But, by using toothpaste as a home remedy, you may be able to reduce the healing time and ease the discomfort. Just keep a few precautionary measures in mind. The active ingredient in the majority of toothpaste, Sodium Lauryl Sulfate (SLS) is behind their effectiveness. This is a chemical ingredient used in many regularly-used cosmetic products. That includes shampoos, mouthwashes, and of course, toothpaste. Proponents claim that SLS inhibits the blisters from growing. By applying a thin layer of paste on the cold sore overnight, you can ease the pain by numbing it. It will also help to dry out the blister. This can prevent excessive oozing. If you’re able, start using toothpaste at the first sign of a cold sore, before the blister even forms. This can help to prevent the blister from growing and can speed up the healing time. Most home remedies are safe because they use natural ingredients. Toothpaste, as you might expect, is harmless. After all, it’s something you use in your mouth each day. But, the active ingredient that helps to soothe a cold sore can be detrimental for some people. SLS gives toothpaste its ‘foamy’ texture. It also provides a cleansing sensation when we’re brushing our teeth. In some cases, it can agitate the cold sore and surrounding skin. This can be especially true for people with sensitive skin. If you do have toothpaste that contains SLS, test how your skin reacts to the formula. Try leaving it in place for several minutes at first. SLS may not be harmful to everyone, but be cautious. Try applying ice before using the toothpaste. This will help to reduce swelling and allow the paste to penetrate deeper. 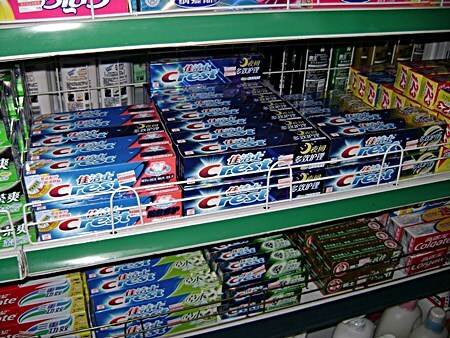 Basic, traditional kinds of toothpaste are best. The fewer ingredients, the better. There have been several claims linked to the idea that SLS can cause cancer. There is not enough research to back up these claims. If the possible side effects do concern you, avoid toothpaste with SLS. Await scientific testing and use it in the future when it’s proven to be harmless. Some people have found that a mixture of toothpaste and salt is more effective. Unfortunately, using salt can sometimes leave a painful sting on an open sore. To get the healing effects of salt and toothpaste without the pain, do the following. Make sure the area is completely clean and dry. 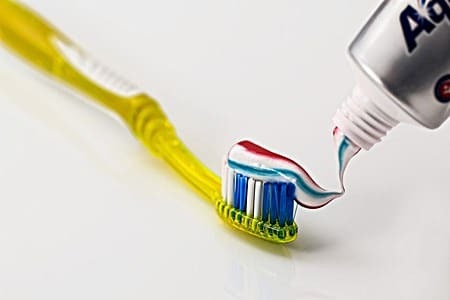 Mix a small amount of salt into toothpaste to form a thick paste. Apply a thin layer to the cold sore before you go to bed. Let sit overnight and wipe away in the morning. Salt works as an antiseptic. Because the cause of cold sores is a virus, it’s important to keep them clean. They open up throughout their life cycle, and that can put you at risk for bleeding and infection. Salt’s antiseptic properties can help to speed up the healing process. The toothpaste can provide soothing relief and healing at the same time. Your risk of infection lowers, and the cold sore can heal faster. Baking soda: Many kinds of toothpaste contain baking soda. People used to brush their teeth with it, so it’s not surprising it has become a common home solution for cold sores. It works in the same way that toothpaste does – alleviating pain, and drying out the blister, however, no studies have been published to confirm its effectiveness in this regard. Apply a thin layer to the cold sore for several minutes. Lemon balm: This is a member of the mint family (another association with many types of toothpaste). You’ll find that lemon balm can help to reduce swelling. Studies suggest that it can also help to reduce the intensity of future flare-ups. Aloe Vera: Aloe Vera soothes cuts and scrapes, and it can help to soothe the discomfort caused by cold sores. Whether you use a piece of the plant or balm containing aloe, aloe vera can reduce inflammation and discomfort. Milk: The the coolness of milk help to soothe an inflamed cold sore. In addition, the proteins in the milk can help to speed up healing. As with toothpaste, people have found that a mixture of salt and milk works wonders as a treatment. See the full list of cold sore home remedies. If you have the herpes simplex virus, getting cold sores may be unavoidable. The good news is that there are several things you can do to protect yourself. There are several precautions to keep in mind if you’re using toothpaste to treat cold sores. These are especially important if you live with someone else. First, keep in mind that the herpes simplex virus is contagious. Once exposed to the virus, they are at risk. If you’re going to use toothpaste for cold sores, get a tube that’s for that purpose only. Don’t use the toothpaste you use to brush your teeth. If you’ve put the container to your lips, you could contaminate it. This could cause recurrent cold sore flare-ups. You might give it to your partner, roommate, etc. Wash your hands immediately after applying toothpaste to a cold sore. Getting rid of cold sores with toothpaste has worked well for some, but it doesn’t work for everyone. As long as you don’t have an irritated reaction to SLS, it can help to dry out the sore so it can heal it faster. Most people are most concerned about getting instant relief from the pain. Toothpaste can help, especially when combined with salt. It will draw away moisture and help to reduce swelling and redness from the cold sore. If you’re prone to cold sores, finding simple home solutions can be beneficial. Understanding the ingredients is important. Check the ingredients in toothpaste before deciding if it’s right for you. If you’re dealing with a painful cold sore right now, we recommend two treatments. Find out more about the Virulite electronic cold sore machine and HERP-B-Gone cream. Herlofson BB. The effect of two toothpaste detergents on the frequency of recurrent aphthous ulcers. Acta Odontol Scand. 1996 Jun;54(3):150-3. Smith, J. (2016). Antimicrobial effect of sodium acetate and other hygroscopic salts. International Journal of Geomate. 11. 10.21660/2016.26.83143. Koytchev R, Alken RG, Dundarov S. Balm mint extract (Lo-701) for topical treatment of recurring herpes labialis. Phytomedicine1999;6:225-230.